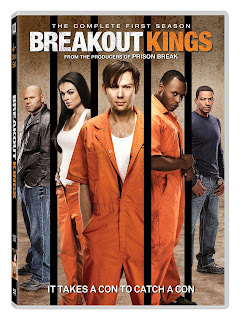 Now renewed for its second season, “BREAKOUT KINGS” follows some unconventional partners working to catch convicts on the run. Driven by the fact that there are few things more dangerous than a prisoner who has just escaped and tired of following protocol, veteran U.S. Marshals Charlie DuChamp (Laz Alonso) and Ray Zancanelli (Domenick Lombardozzi) are taking an unorthodox approach to their work: using former fugitives to catch fugitives. If they agree to help, the fugitives’ sentences will be reduced for each escaped convict they bring in. However, if any of them should try to escape themselves their sentences will be doubled. Will the “BREAKOUT KINGS” wait for their freedom, or will they go on the run themselves?